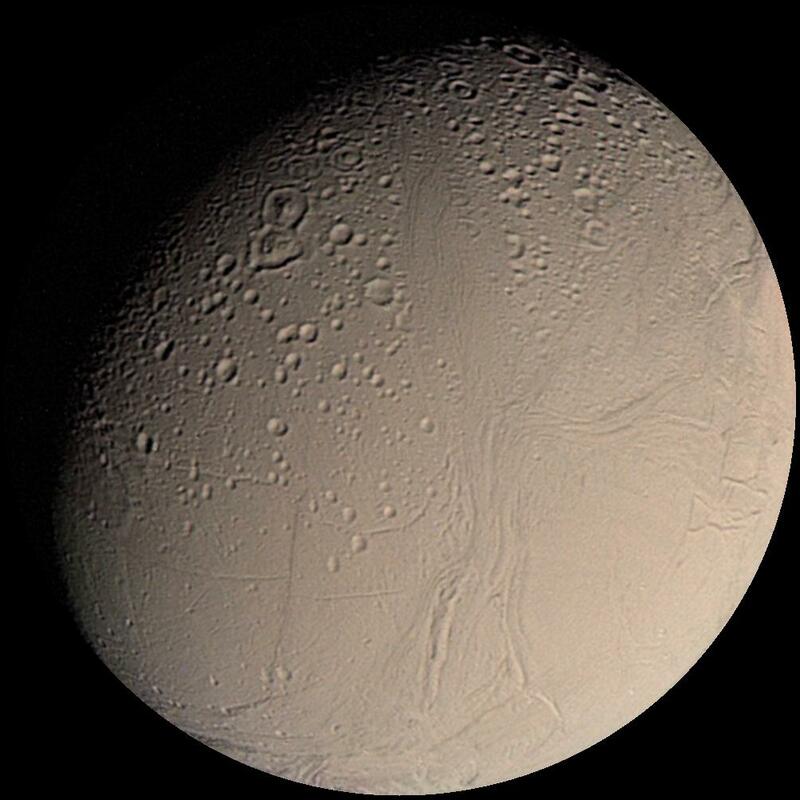 Enceladus is the 6th largest moon of Saturn and despite its small relative size, has a varied surface from heavily cratered to young regions of fresh clean ice. 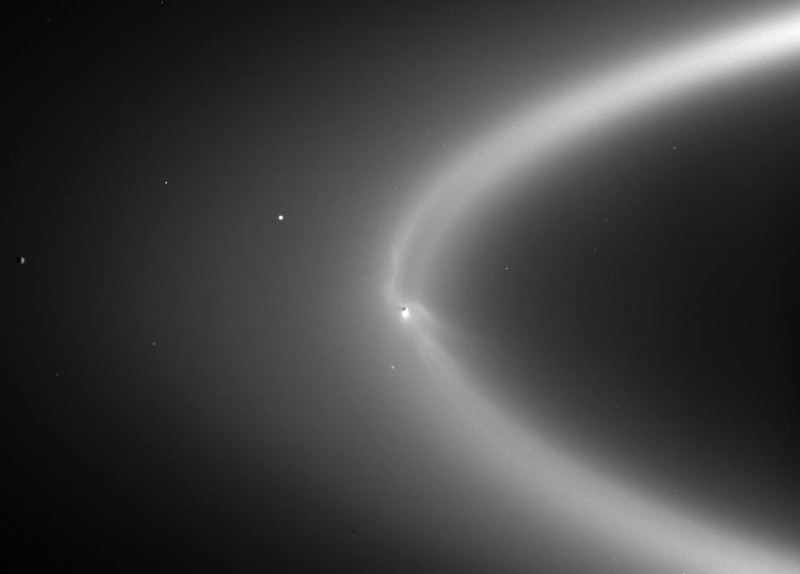 This makes it one of the most reflective objects in the solar system. 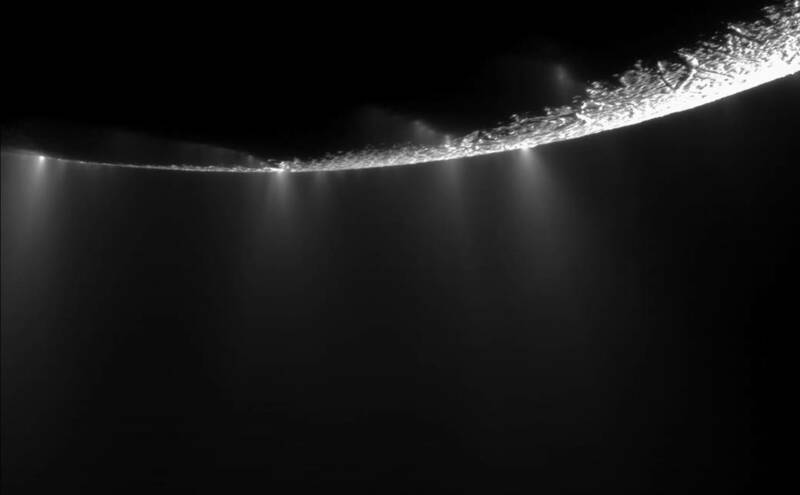 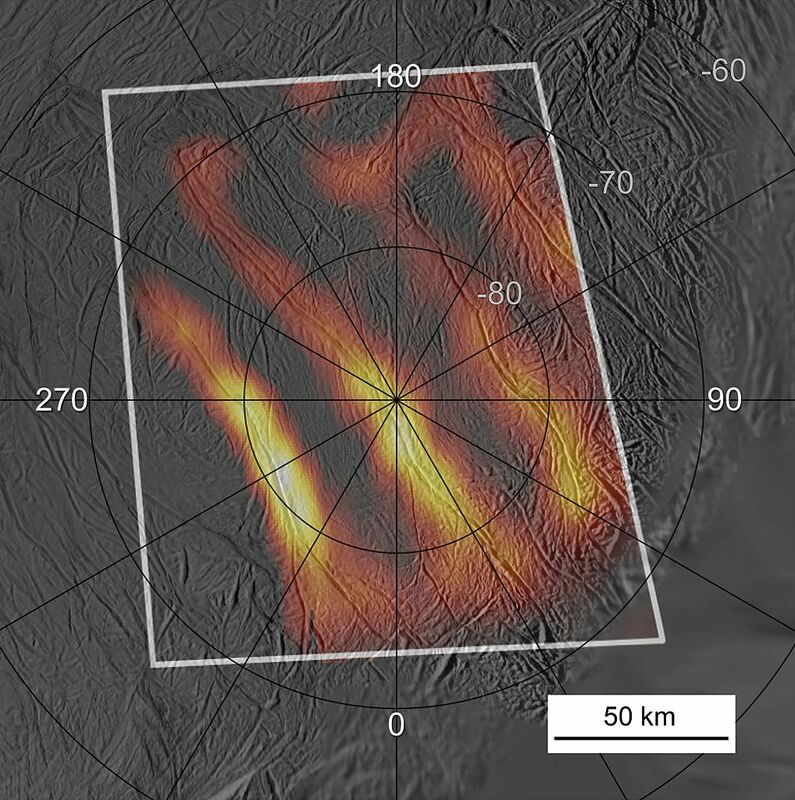 During the Cassini spacecraft flybys, active geyser-like jets were imaged in the south polar region, likely due to the moons orbital resonance with Dione and subsequent tidal heating. 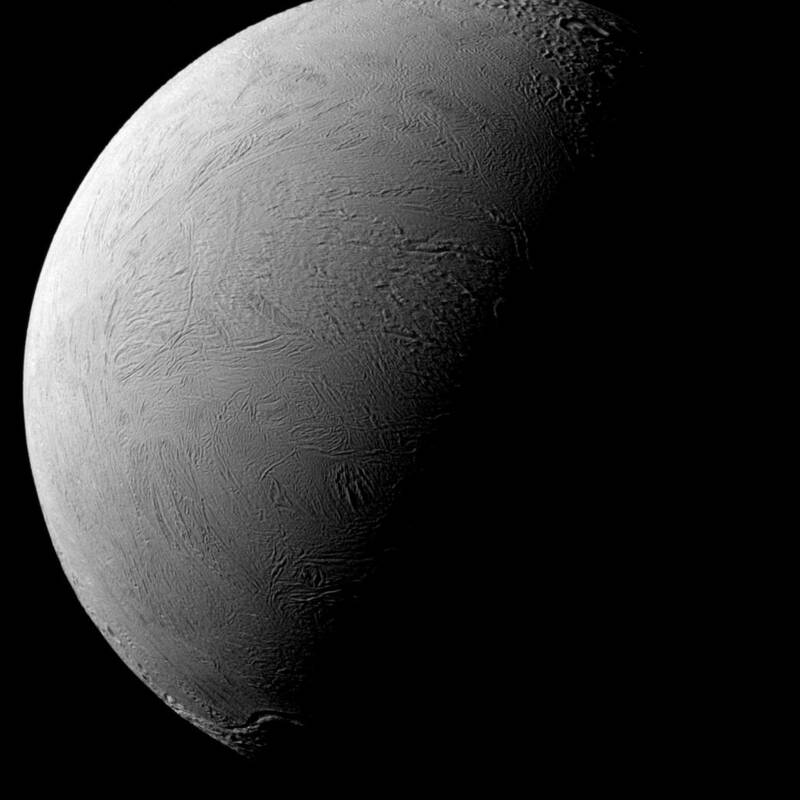 Fast Summary Facts About Enceladus! 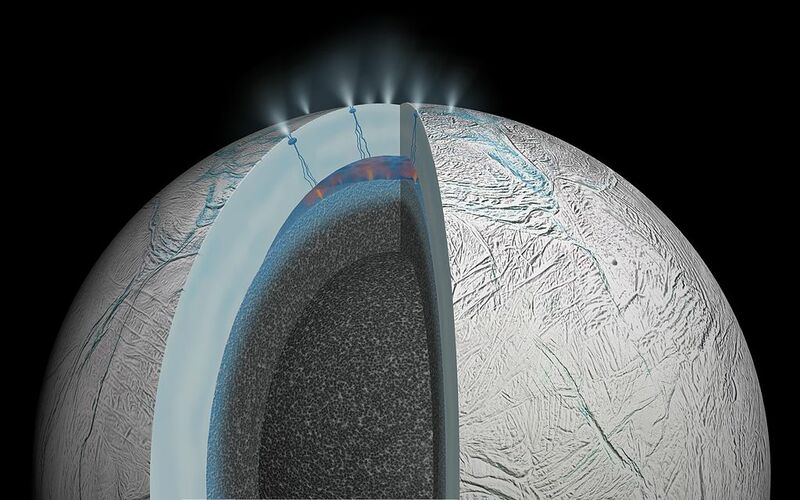 More Fun Facts On The Active Ice World Enceladus! 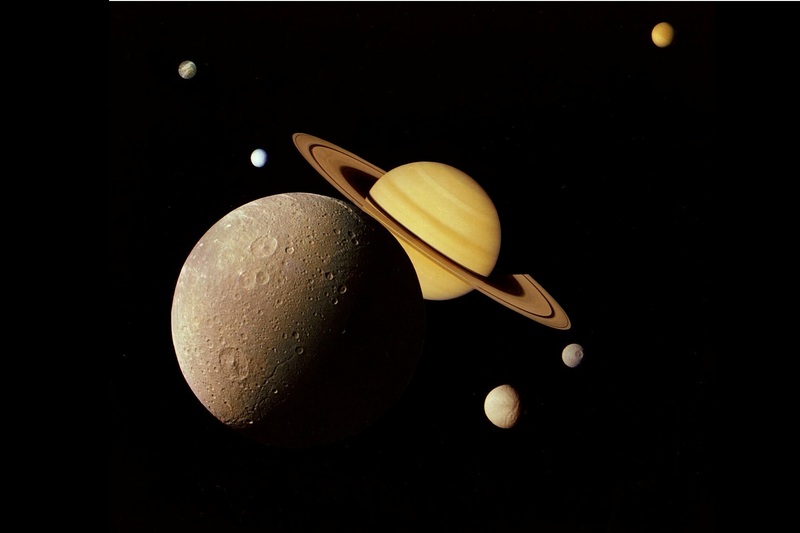 Despite the moon being discovered in 1789, and initially being called Saturn II (the 2nd moon from Saturn), it wasn’t until 1847 that its name was changed to Enceladus to avoid confusion after additional moons around Saturn were discovered. 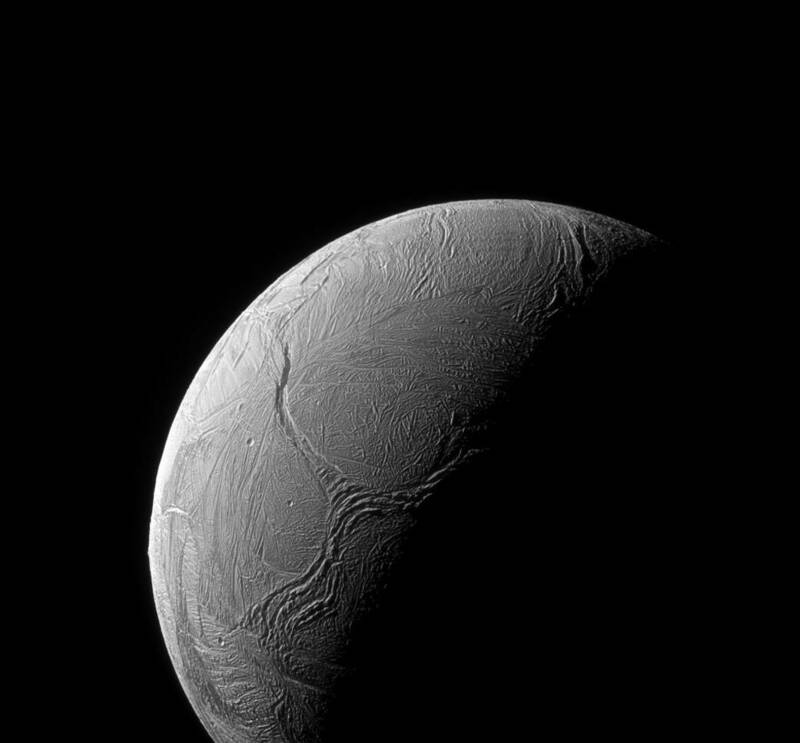 Enceladus is the 6th largest moon of Saturn is a relatively small moon which would fit within the borders of the state of New Mexico, it is a 1/10th the diameter of Titan and 1/7th the diameter of Earth’s Moon. 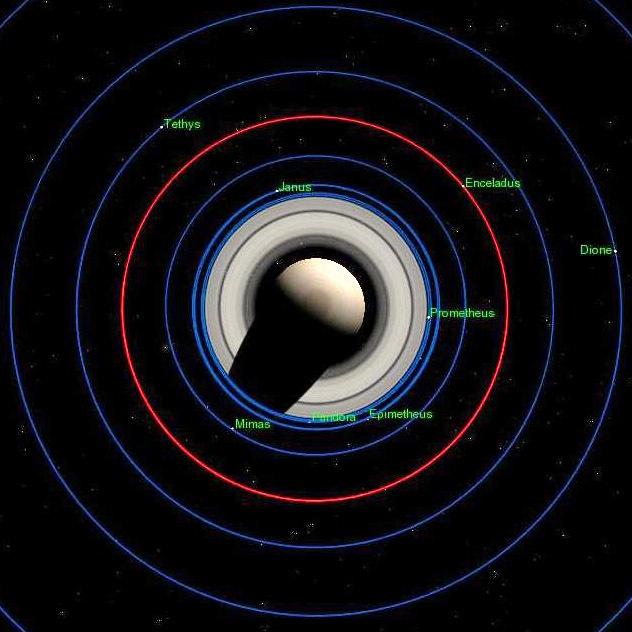 Like all except two (Hyperion & Pheobe) of Saturn’s major moons, Enceladus’ rotation is ‘tidally locked’ to Saturn as it orbits; meaning that one face of Enceladus always faces Saturn. 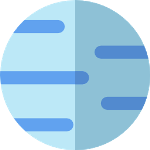 This is the same as Earth’s Moon! 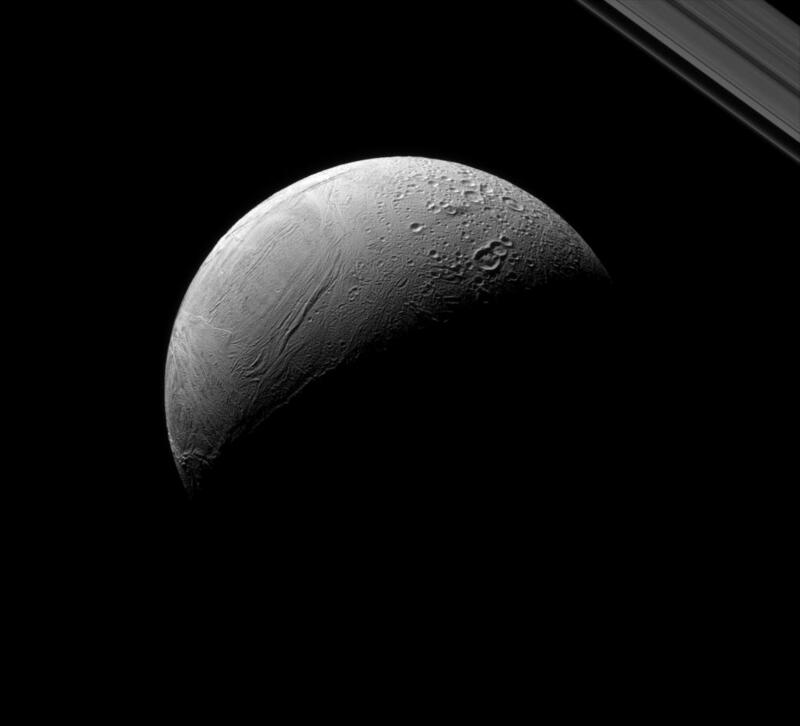 Enceladus’ density is 1.61 times that of liquid water which suggests the little moon is composed of about half water-ice and half rocky material! 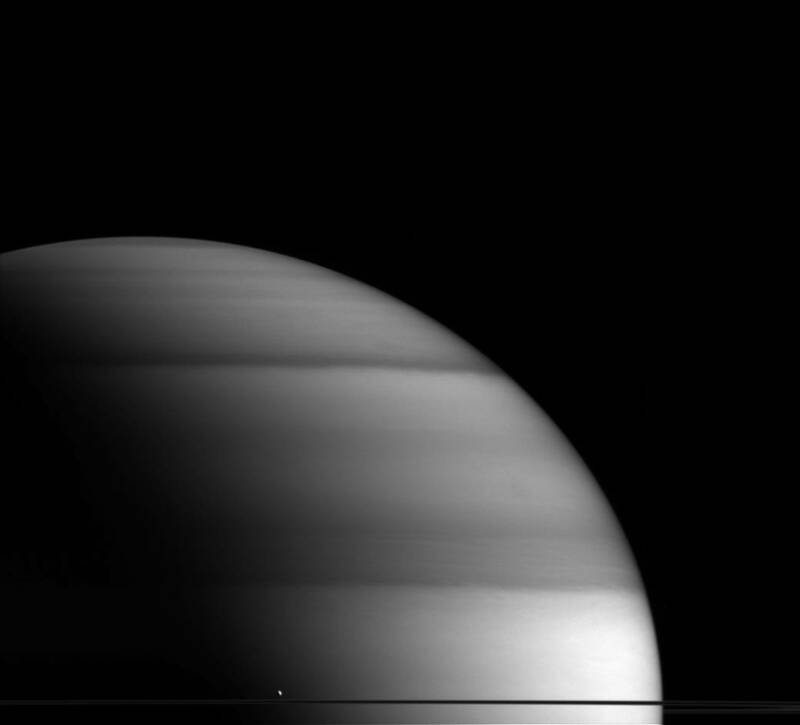 Voyager 1 and Voyager 2 imaged Enceladus during their flybys in the early 1980’s providing the first indications that a relatively small cold world could potentially sustain active geological processes. 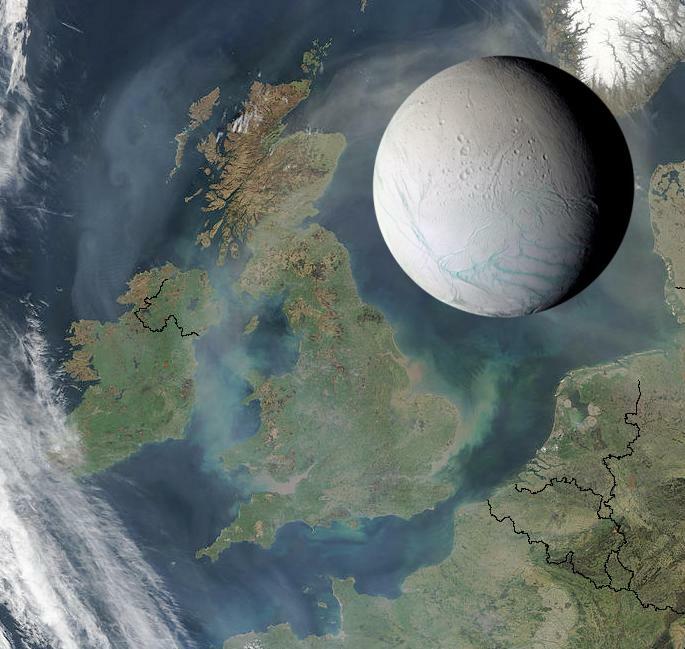 This surprised the scientists which assumed Enceladus should have frozen solid long ago. 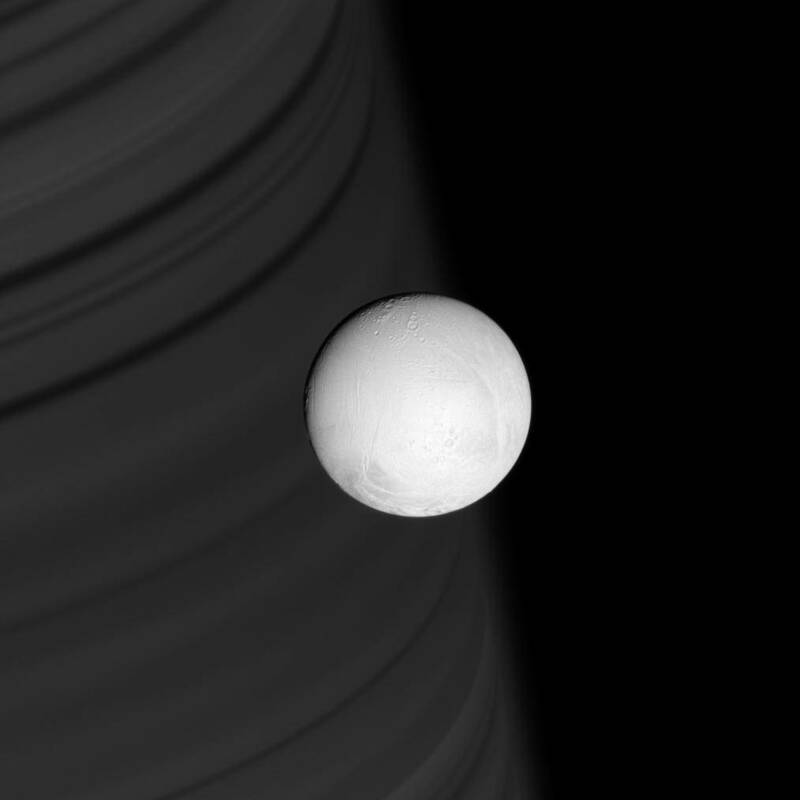 The Cassini spacecraft made its first of 24 flybys in 2005 dramatically increasing our knowledge of this unique little moon. 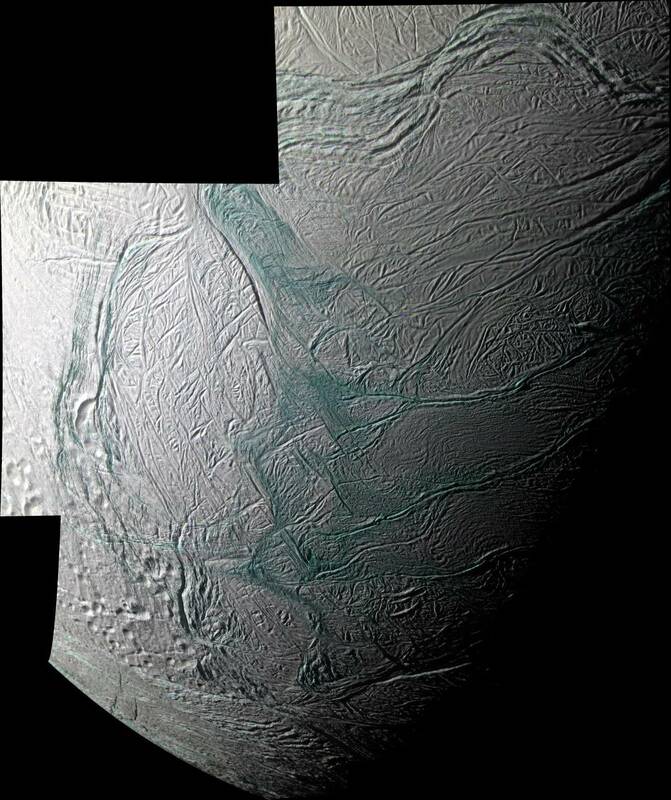 Cassini revealed a varied surface of tectonic fractures, ridges, smooth regions, heavily cratered ‘old’ terrain and young areas covered in fresh ice which reflects nearly 100% of the sunlight! 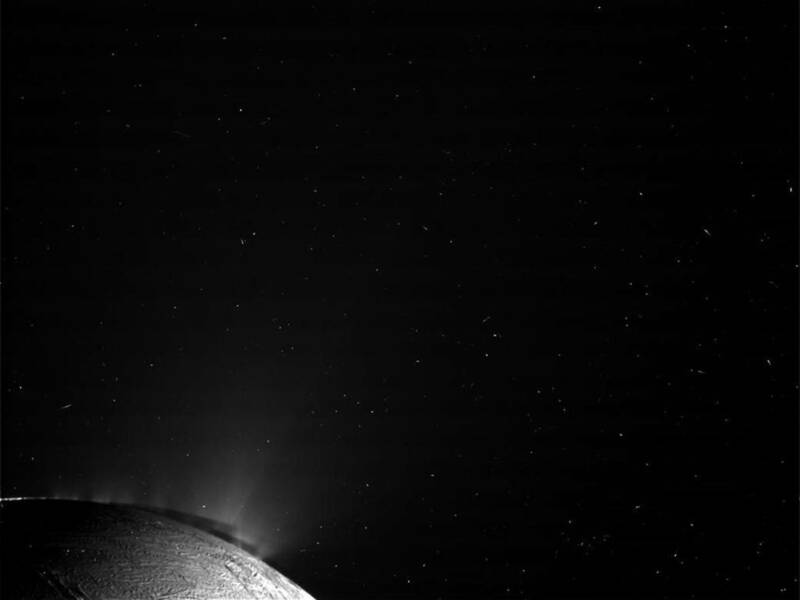 This makes Enceladus’ surface particularly cold; about -200 °C (-328 °F)! 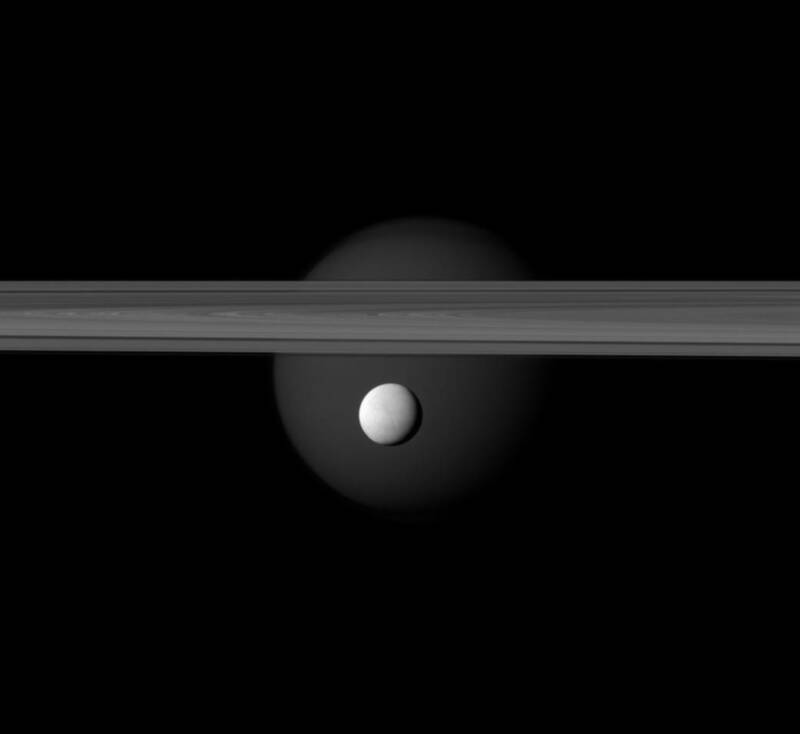 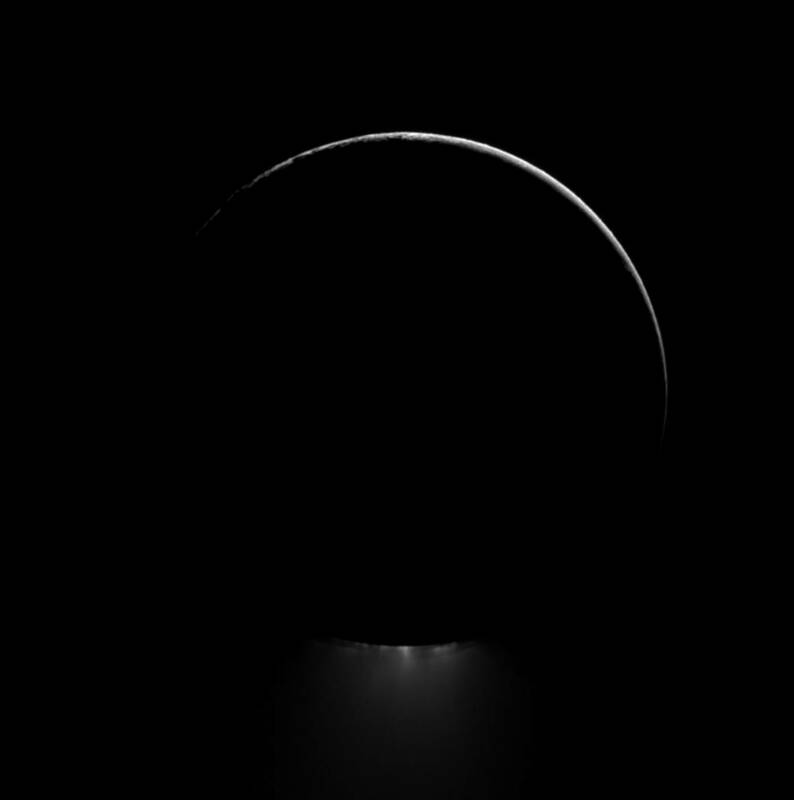 Enceladus is in a 2:1 orbital resonance with the moon Dione, completing two orbits for every one Dione completes. 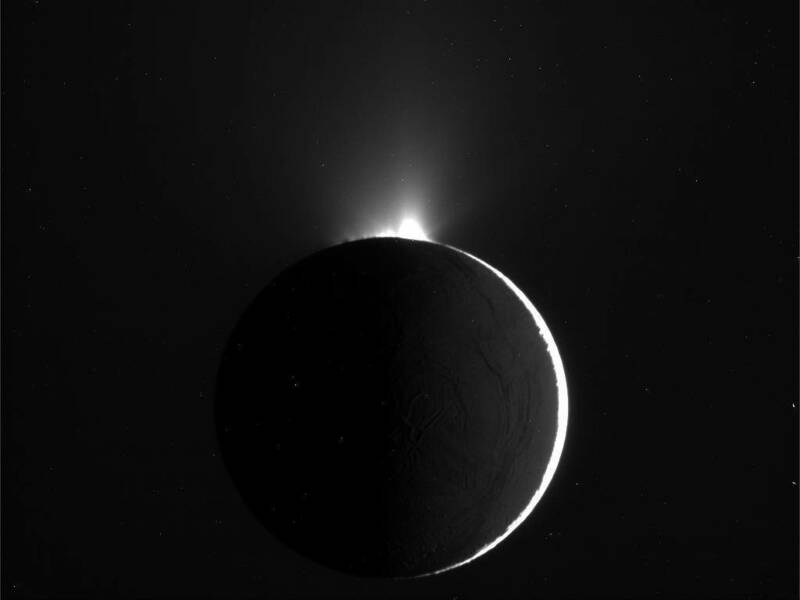 This resonance forces Enceladus' orbit to be slightly eccentric, the resulting tidal forces deform the moon and produces internal heating which (at least partially), drives Enceladus' geysers and geologic activity! 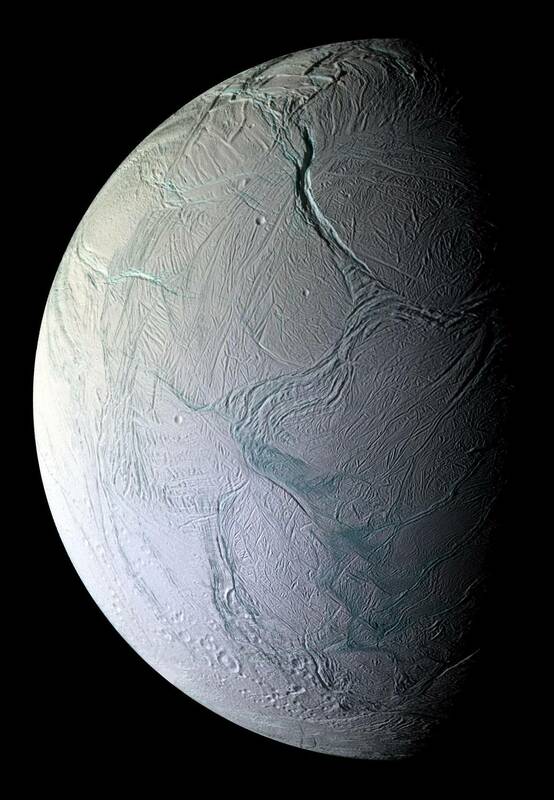 Scientists studying the Cassini spacecraft data believe that Enceladus has a rocky core under a global ocean that is about 10 km (6 miles) deep with a 30-40 km thick ice shell at the south polar region. 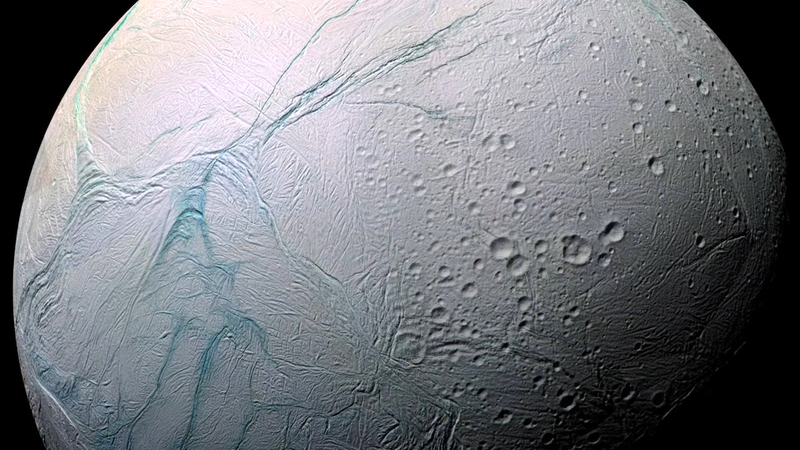 The crater-free south polar region is where NASA scientist identified fractures in Enceladus’ icy shell (called the “Tiger Stripes”) where water vapour geysers jet out into space renewing the moon’s surface and producing Saturn’s faint icy E-ring! 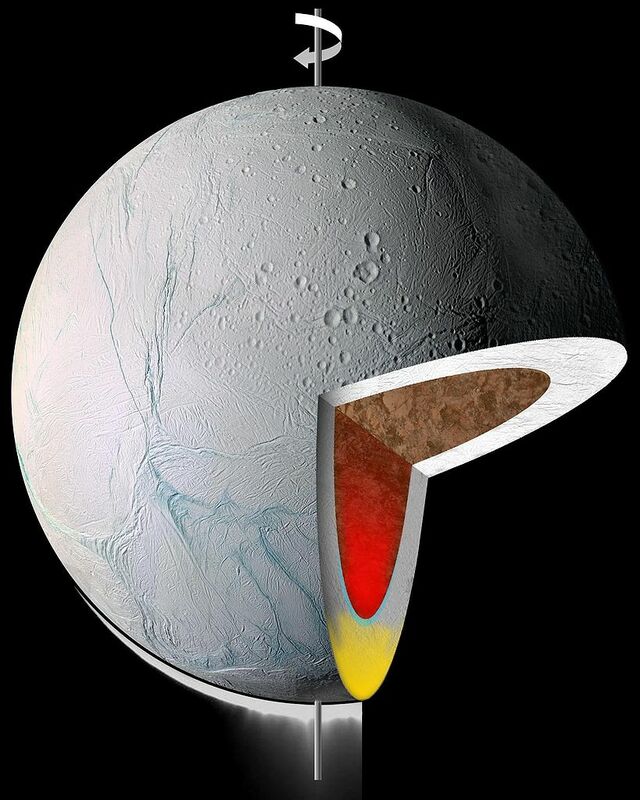 Enceladus is a high priority target for future space probe missions on account of its potential for harbouring extraterrestrial life (such as extremophiles) due to the presence of liquid water, organic molecules and an internal heat source.